Bringing high-quality digital learning materials from the MIT Department of Biology to the MIT community and beyond! Interested in learning more about the structure of DNA? Want to delve deeper into the cell cycle, the process by which your cells divide and replicate? Check out our collection of short educational videos, designed with students and teachers in mind! What's new from MITxBio? Read what others have to say about our newest projects, both at MIT and in the public media. 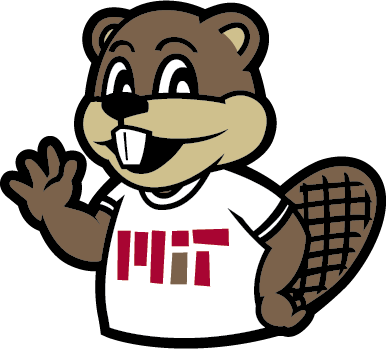 Are you an MIT student / faculty / staff? Want to know what resources we provide you, or how you can get involved in creating them? You've come to the right place! Now open: 7.00x Introduction to Biology – The Secret of Life with Professor Eric Lander! Learn for free: self-paced and open to the world. Dr. Lander's [7.00x] course is a rare gem... The course is very polished and well-organized -- much more than any other course I have taken either online or at the University. This course [7.00x] is AWESOME! I totally love it. Challenging problem sets, crystal clear lectures of Prof. Lander, guidance from fellow mates (on the forums) and deep dives- what else would one want in a good course. Good job 7.00x team! I have done over 30 MOOCS and [7.00x] rates in the top 3 - as Professor Landers says this is a dynamic field and you will be learning material that is at the leading edge of what is emerging - be prepared to put in the hours and be fascinated. I'm still cherishing the [7.00x] course material. I really enjoyed this course [7.28.1x] ... from the clear, engaging and substantive lectures, the relevant and challenging quizzes and the extra tidbits. ... Thank you for assembling this fantastic resource! I found it absolutely awe inspiring to learn just how much we now know about DNA replication and repair. The course [7.28.1x] will leave you in awe of the intricate machinery of our bodies (and those of E. coli), as well as give you a deep respect for the researchers who are busy bringing to light an ever increasing knowledge of DNA mechanisms. It will also give you an admiration for instructors who can explain this knowledge to others. Five stars certainly! The contents of this class [7.28.1x] are cutting-edge. The instructors and the designers of the educational materials have done an outstanding job here. The use of multimedia in the quizzes and exercise is extremely clever. ... I feel now that I can understand the life science articles in magazines such as Nature or Science much better. If you're expecting a traditional biology course where you memorize terms and spit them back out, then this [7.28.1x] would not be the course for you. I've always held MIT to be the equivalent of Ivy League standards and this course gives a valid and just assessment towards that end. ... The core bulk... focuses on your ability to think and apply what you've learned to scenarios that are presented to you. ... Every quiz has questions that a person would encounter if they worked in a real world biology lab. Overall it has been an excellent teacher and course. Now open: 7.28.1x: Molecular Biology! Learn for free: self-paced and open to the world. Mary Ellen Wiltrout is a Digital Learning Scientist and Lecturer in the Department of Biology. She completed her Ph.D. in Graham Walker’s lab from the Department of Biology at MIT, taught molecular biology at Harvard University, and returned to MIT as a core development member of 7.00x. She now oversees and manages all of the MITx projects for the Department of Biology at MIT. Darcy Gordon is a Digital Learning Lab Fellow in the Department of Biology. She completed her Ph.D. with her project entitled "Evolutionary Neurobiology of Exceptionally Polymorphic Ants" in the Traniello lab at Boston University. Darcy is a core member of the MITx Biology course development team. Monika (Moni) Avello is a Digital Learning Lab Fellow in the Department of Biology. She completed her Ph.D. with her project entitled “Characterization of an exclusion mechanism in an integrative and conjugative element in Bacillus subtilis" in the Grossman lab at MIT. Moni is just starting as a core member of the MITx Biology course development team. 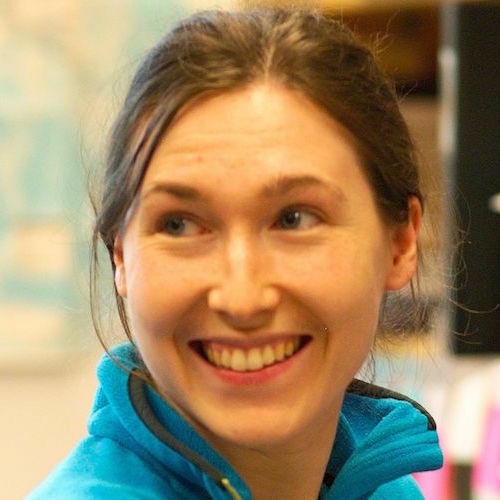 Theresa Wasylenko developed and tested many problem-solving assessments for 7.00x, 7.28.1x, and 7.28.2x during her Ph.D. and postdoc in the Housman lab at MIT. After leaving MIT, she was a Lecturer of Biological Science at Olin College. Theresa returned to MIT as an instructor for the 7.02 lab and continues to contribute to our new projects. Yasmin is developing problems for a new course to be released January 2019. She is currently a PhD candidate in the lab of Jing-Ke Weng studying the molecular basis underlying the medicinal effects of natural products. 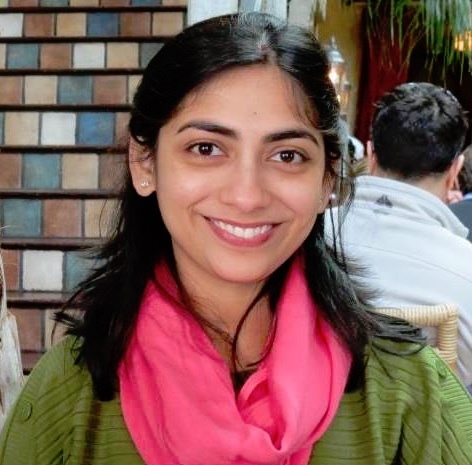 Swati Carr was a Digital Learning Lab Fellow in the Department of Biology. She completed her Ph.D. by developing methodology for improving the predictability of engineered genetic device behaviour in the Densmore lab at Boston University. 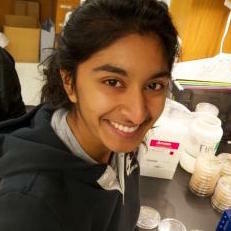 As part of her role as a core member of the MITx Biology course development team, Swati developed and tested assessments for 7.28.3x and other courses. Swati is now an Instructional Designer at Extension Engine. Sera Thornton was a Digital Learning Lab Fellow in the Department of Biology from June 2014 to June 2017. In conjunction with her role as a core member of the MITx Biology course development team, Sera curated and created the graphics and video for their courses, including animating the lecture video inserts for the 7.28x series. 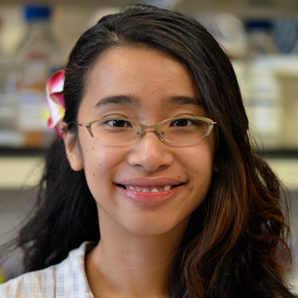 Prior to that, she completed her Ph.D. studying epigenetic gene regulation in stem cell lineage commitment and differentiation in the Boyer lab at MIT. She is now an Instructional Designer in the University Center for Teaching and Learning at the University of Pittsburgh. 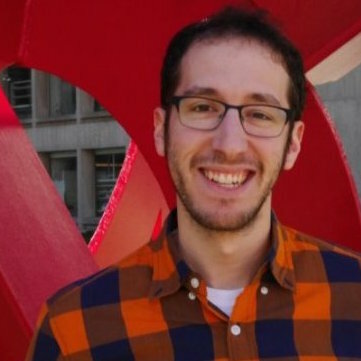 Nathaniel Schafheimer was a Digital Learning Lab Fellow in the Department of Biology from 2013 to 2015. He previously completed his Ph.D. studying how ultraviolet light damages the proteins in the lens of the human eye in Jonathan King’s lab at MIT. He is now a Patent Agent at Lando & Anastasi, LLP. Our 2017 and 2018 high school intern graduated from Boston Latin high school. She is started college September 2018 with interest in studying biological engineering. She is shared her experiences at MIT through the mitxbio Instagram . She also created new Cerego flashcards for the 7.00x Introduction to Biology course. In 2018, she did development work on a new course to be released January 2019. Ceri Riley graduated from MIT in 2016 with a Bachelor of Science degree in Comparative Media Studies and Biology. 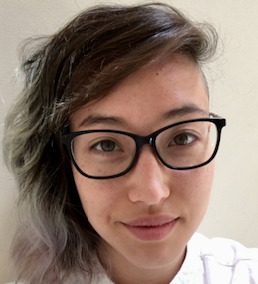 During her time as an MITx Biology UROP, she contributed to the team's educational videos, including production — from researching to scripting to animation to editing — of several of the videos in 7.28.1x and 7.28.2x. She is now a writer and editor for SciShow. 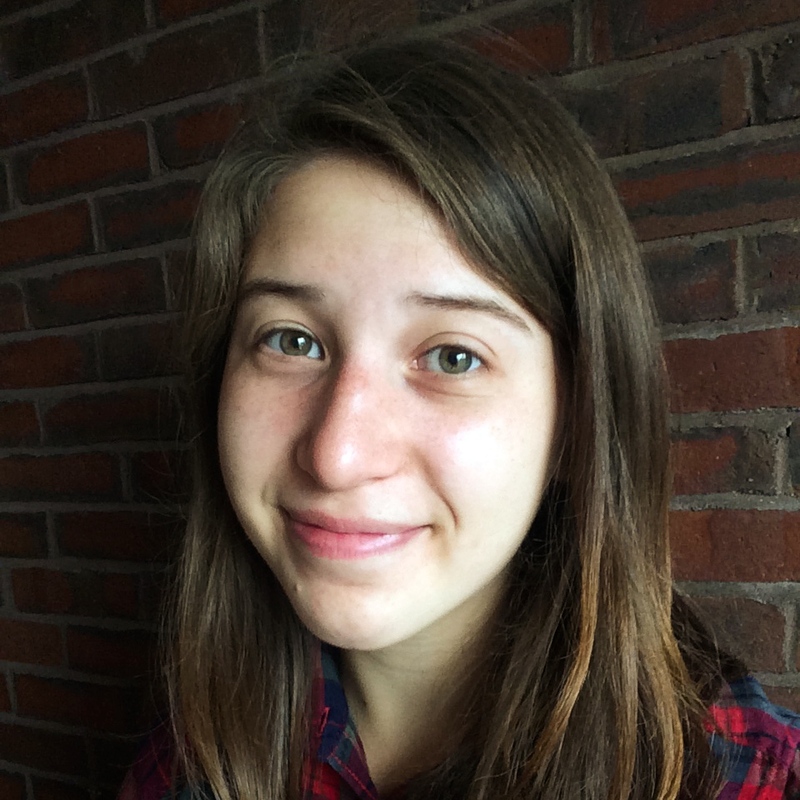 Megan Warner completed her Ph.D. in Steve Bell's lab in the Department of Biology at MIT. In addition to her graduate work, she created and evaluated assessment questions for 7.00x and the 7.28x series. She now works at First Light Biosciences, a diagnostic company working to design tests for hospital-acquired bacterial infections. Manoshi Datta completed her Ph.D. in Computational and Systems Biology under the supervision of Professors Gore, Polz, and Cordero at MIT. She created and evaluated assessment questions for 7.00x and 7.QBWx, and tested and coded materials for 7.28.3x. AJ Amor completed his Ph.D. in Bob Sauer's lab in the Department of Biology at MIT. 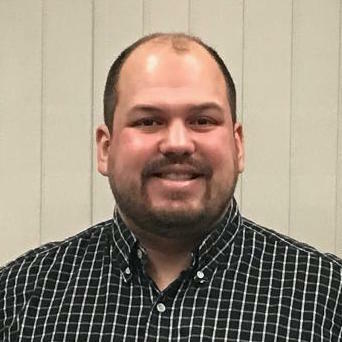 In addition to his graduate work, he created and evaluated assessment questions for the 7.28x series and other digital learning projects on campus. Copyright © 2018 Massachusetts Institute of Technology. All rights reserved.